Lyricism and Lagos with Nigerian poet and writer Jumoke Verissimo. 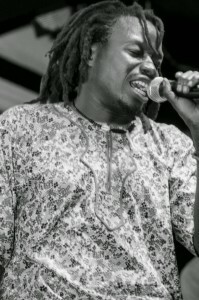 Featuring a live performance with musicians Edoato (Afrogenius Band) and Awoko. 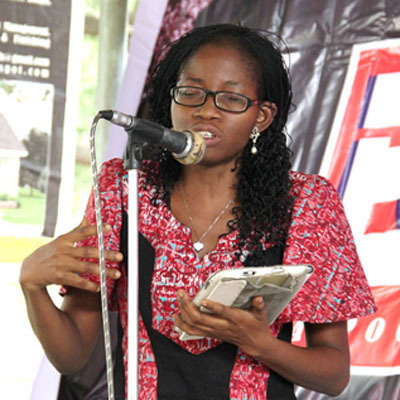 Jumoke Verissimo is the author of two poetry collections. The award-winning I am memory (Dada Books, 2008), and well-received The Birth of Illusion (Fullpoint, 2015). Her novel manuscript was longlisted for Kwani prize in 2012. Verissimo has travelled performed her poetry at major world festivals. She currently works as a content strategist, writer and editor in a Public Relations Company. Category: Articles, Pass Blog, Pass Radio | Tags: Awoko, Edoato, Jumoke Verrisimo, PASS Lagos | Bookmark: permalink.